Have you ever had so much to tell someone that you don't even really know where to begin? When so much has happened that you can't even figure out when the beginning was? About a year ago, the company that John works for here in Southwest Michigan acquired a company in Charlotte, North Carolina. He was offered a position on the transition team, which he accepted, and has since been traveling back and forth to Charlotte every other week. A few months later, his proverbial hat was thrown in the ring for a position in Charlotte. Because we are both analytical people, we made list after list of pros and cons. The first list looked something like this: Pros- No more traveling and a great position. Cons- Moving away from our community, our friends, our family. Having to sell our house (which we adore). Giving up the job that I was happy and comfortable with and looking for new work. Starting from scratch in a city where we don't know anybody. Moving to a warmer climate (We both like snow. Go figure. ), and so on. Shortly after the offer was brought up, I found out that I was pregnant. Given our pros and cons list and the fact that we were now expecting, we decided to forget about the whole thing and keep on living life they way it was. We were perfectly content. Then everything changed. I got into a terrible car accident. Two weeks later, I miscarried and lost our first child. We were devastated. (Still are.) I quit blogging, only to come back to it after a couple of months when I realized that I missed it. Some time passed and our spirits improved. Then right around my birthday, when we thought everything was getting back on track, I came home to find John waiting for me with a somber face and a glass of wine. Weird. Something was off and I knew it. He asked me to sit down and I did. Then he began to tell me that one of the closest women in my life was diagnosed with breast cancer. I was in shock. I sat on the couch, frozen, for twenty minutes. What does this mean? Would she be okay? Was she going to lose her breasts? Was she going to live? What stage was it? Why was everything falling apart for us and everyone around us?? It turned out that the cancer was found early. She had a lumpectomy and is now on the road to recovery, thank God. But those few months of loss and heartbreak did something to John and I. We grew closer and stronger. But we also began questioning why we were so afraid of taking the North Carolina offer. If life could be snatched from us at any given time, why weren't we living it to the fullest and experiencing everything that it had to offer? And so we began to re-write our pros and cons list, each time adding on more possibilities under pros. We began dreaming of how fun it would be to spread our wings and live somewhere different, make new friends, and open our life to other possibilities and opportunities. Then one night after a long dinner, I hesitantly asked John what he thought about me following through with the big dream of mine that I had always kept on the back burner-- the dream of opening my own affordable online accessory boutique. The dream that I had first brought up years earlier, but kept on the back burner because there was no way that I could realistically open a business while holding onto my daytime job. And you know what he said? He said "Yes, do it. Absolutely. This makes perfect sense." The next morning, we decided to go forward with the North Carolina offer, and I began to work toward making my dream into a reality. I used every spare second that I wasn't at work to research, study, and wrap my head around what it would take to open a small business. At nights I would stay up until 3 a.m. figuring out how to code the website and then get up at 6 a.m. to go to work. I was exhausted, but so incredibly motivated and excited that I could barely sleep. To be honest, I don't think I fully realized how much work it would take to get the boutique off the ground. There were licenses to register for, legal papers to decipher, products to shop for and price, a business model to build, and a website to design. Then there was the marketing plan and figuring out the name and social media structure, website photos to shoot, and so much more. All of that brings us to today, dear friends. John and I are set to move to Charlotte, North Carolina, and I could not be more proud to introduce you to my dream, actualized: Hello Gorgeous Boutique. I hope that you feel the love and excitement that went into creating the boutique. I truly hope that you fall in love with every piece, and that each time you wear a necklace, bracelet, earrings, or other accessory from the boutique, you feel even more gorgeous and confident than you already are. A week or so ago, I tearfully left my epidemiology job and sweet co-workers to focus on launching the boutique and selling our home in Michigan. John will continue to travel until the new year when we officially relocate to Charlotte. Once we move, I will be running the boutique full time from a co-working office (so don't worry, I will still be posting office-friendly looks on the blog! ), blogging, and taking on epidemiology and data analysis work as a consultant. To say that this is a huge change for us is an understatement. But you guys, I am so proud of us. We are taking life by the horns, letting go of our fears, and fulfilling our dreams. Because if not now, when? I can't finish this post without giving a million thanks to John, our wonderfully supportive friends and family, and of course each one of you. Because without you, none of this would be possible. You can also follow along on Facebook and Instagram. If you are interested in hearing more about the boutique and some personal style pointers, check out the interview I just did with Tesi and Leslie from Mama Bear Dares-- where we talk fall fashion, how to wear ankle boots, and figuring out how to pull off that look that you've been wanting to try. And make sure you follow them on Facebook, Twitter, or Instagram. They are seriously amazing and their podcasts will change your day (if not your life)! This made me so incredibly happy for you and your husband. Sometimes life has to give you a million lemons so you can make that lemonade. Good luck with your move and I am headed over to Hello Gorgeous now. So exciting! Congrats! You"l be closer to me in NJ. Lol. You have a very beautiful personality, and I wish you guys the absolute best! Can't wait to check out your boutique! Congrats! So excited to shop! Congratulations!! Love the new boutique. Such cute and affordable products! Good luck with selling your home and moving!! Wow! Congratulations! I have been following your blog for a couple of years and reading this felt therapeutic for me in a way because my husband and I too just moved to a Charlotte over the summer and left a lot (including our comfort zones behind). I can't wait to hear more about your move to the area and boutique!!! Yasi!!! So happy for you! You KNOW I will be shopping. I am so happy that you are following your dreams. Things are working out and you are both spreading your wings. Remember HOME is always HOME and you can always go back. I just know this is going to be wonderful for both of you. Visits will mean so much more and your friends will always be your friends. Wishing you the best of luck as you continue following your dreams. May you have a smooth transition as you begin your new journey!! I always love looking at your outfits but never read the blog and some reason did today. I'm a North Carolina girl (sadly displaced in SC now), but there is truly nothing finer than being in Carolina. I hope you love NC as much as I do. And I look forward to hopefully bumping into you and your gorgeous clothes in person! Oh My WOW! This is so amazing for you, and John! Congratulations to you both on new adventures, challenges and the world of exciting experiences! Good luck with all the new endeavours. Like the saying goes, you have to weather the storm to see the rainbow! I hope yours is bright and colourful with a pot of gold awaiting you at the end. I am so excited for you!! I live in Charlotte and love it here. I packed up and moved when I was 21 and never looked back. I miss my family but Charlotte is my home!! Congratulations on all the wonderful new beginnings for you!! What co-working space are you using? My cousin lives in Charlotte and started Hygge Coworking. You should check it out! Oh I am so excited for you and can't wait to shop your new boutique! I am a Charlotte girl and you will absolutely love it here! Awwwww!! I am 100% behind you and so happy for you! This is the path you need to be on! You inspired my wardrobe early on and I have been a faithful follower! Don't stop believing in anything. I have two amazing children that are flipping perfect. I miscarried 5 times... 4 before my angel girl and once before my sweet boy. I'm glad now I kept trying.....although back then I was so lost and heartbroken/shattered. I knew...I was positive...I couldn't heal after my losses. God waited until he had the most perfect kids for me before I was blessed. I promise...keep trying,with everything! Charlotte...your business...everything!! Wait...I commented before I went to your website! Holy wow!! I'm shopping! It looks gorgeous! Be proud of that! Woo hoo! Girl. I'm so proud of you. You're one of my favorite people I've never met. Keep on keeping on and know that you have much love and support. This is great! I've been following your blog for a while now and I'm so happy for you! I love the boutique too! Fantastic! I live in the Charlotte area! Welcome! We're glad to have you! So excited for you and your new adventure! I have been a follower and purchaser for a few years and just love your style and blog. Many blessings to you and your husband as you move and continue to live life to the fullest. Congratulations- I loved reading the back story: makes me want to shop your boutique even more! THANK GOODNESS you are not going to quit posting your office outfits. I truly love them and steal from your photos. XOXO... congrats on your new journey. Blessings to you and your husband. Congratulations! I wish you nothing but the best and blessings. How exciting! I have noticed you posted less, so sorry to hear about your accident and tragic loss. I wish you a lot of happiness and success with the boutique, i'll check it out. Congrats Yasi! I admire your bravery for doing what you love! What co-working space in Charlotte are you thinking about? I work from home and live in Charlotte too and am looking for a co-working space- so many to choose from! Also if you are ever up for giving Charlotte area people makeovers, I'd love to be considered! Love your style! That's amazing- wishing you much success! Thank you for sharing your story with us. Hi Yasi, just wanted to let you know that I'm glad you're back. I follow you via an RSS subscription and don't often get to your site. Congratulations to both of you! Your courage in accepting the challenge of this new adventure is really impressive! I have read your blog and followed you on Pinterest for several years and always admired your sense of style and willingness to share both happy and tragic times. That you have both tackled the daunting tasks of moving away from friends and family, adapting to a new job (John), opening a business (oh my goodness...the research needed!!! ), and continuing to blog...you are sort of a wonder-woman! I wish you great happiness and success in these new endeavors! Oh so excited for you, your new future and for making your dreams a reality! We moved from St. Joe, MI to Charlotte for my husbands job in 2001 and we loved it, the traffic is a bear but the people are so sweet!! Congratulations!! 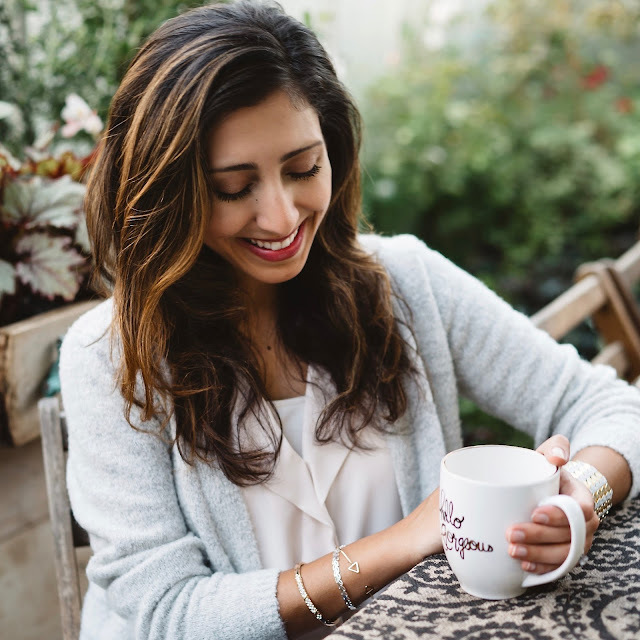 Blog lurker here :) I've enjoyed following your beautiful outfits and prayed for you regarding your recent loss. I know people say God doesn't give you more than you can handle, but it sure seems that he pushes the envelope sometimes, right? Anyway, I'm 2 hours south of Charlotte in Greenville, SC and you are going to love the area! There is lots to do there and within a few hours drive there is even more. Enjoy the new adventure and let me know if you guys ever visit Greenville! You have inspired me to take my wardrobe more seriously and it has been inspiring reading about you and your life adventures. I hope your travels are safe and I look forward to hearing about the new fashionable roads that you may encounter. I also just bought some goodies from your boutique. They look scrumptious! I am eager to wear them! Yes, I'm just now getting around to reading your big news. Needless to say the last three weeks have been a blur for me. Back to you. Congratulations! It sounds like you had so many bumps in the road, but life kept chugging along (as it does) and brought you to this wonderful opportunity for a new biz and new adventure. Wishing you both the best. Trust me, the snow 'aint all that grand (says a girl who who has always lived in SoCal and hates the cold). LOL. Thanks for sharing informaiton about women designer blog. This is very informative to me.Very nice dresses, Good desing and very comfortable to wear, Nice color collection. I keep coming across links to your posts via all Social Media. I just signed up to get all your posts via email. 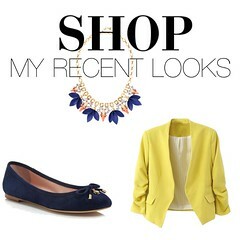 I've pinned a bunch of your outfit pics and love the boutique website! I enjoy your classic style! Thanks for sharing such personal information, I wish you the best, and look forward to future posts. Thanks again for sharing. I've been following your blog for a few years now. Thanks for always listing where you bought each item...it makes it so much easier to replicate your awesome outfits, even if it is on a larger scale. Classy outfits are classy in all sizes!! I am so excited for your life change, it takes guts to do what y'all have done. (Get used to saying and hearing y'all, a lot) Love your boutique, can't wait to see it grow. Good luck and God Bless...you'll do great Yasi!! It s my favourite with your blog. I know this blog too! It's awesome! تقدم شركة البيت الذهبي المتخصصة في أعمال العزل والصيانة المنزلية بتقديم عروض ليست بجديد ولكن تختلف عن جميع الشركات والمؤسسات فى مجال عزل الفوم حيث ان فى الوقت الحالي يوجد العديد من الشركات المتخصصة فى مجال عزل الاسطح والحماية الخاصه بالمنزل , وما يميز شركة عزل فوم بالرياض عن غيرها ان شركة البيت الذهبي تضيف كل جديد فى مجال عزل الفوم حيث تعتمد علي أساليب حديثة جدا والتي توصل اليها العلم مع الجهد الكبير من الدراسات والأبحاث والاجراءات العلمية التى تستخدم فى عمليه عزل الأسطح حيث تم التوصل الى مادة فاعلة وذات كفاءة عالية وامكانيات تحمل العديد من الظواهر الطبيعية والمعنوية فتوصل الى نوع جديد من انواع العوازل هو نوع فريد من نوعة والمشهور فى ايامنا الحالية باسم عزل فوم .